This class is designed to help you understand and apply entry-level accounting concepts to keep books electronically using QuickBooks Pro. This course is for those with little or no bookkeeping experience who are looking to add employable skills in a relatively short period of time or for small business owners who need accounting basics to keep accurate records. If you are a business owner or manager, understanding your company finances is the foundation of success. You already know your product or service, now take the time to get to know your numbers! Discover the tools you need to successfully plan, build and manage your business. This is an invaluable workshop for people developing a business who are ready to start working on their business plan. Are you about to start or are you in the early stages of running your own business? Avoid costly mistakes and position yourself for success by covering essential details like pricing and profitability. Take the next step in your career as a Tax Professional in this three-day course for Tax Preparers studying for the Oregon Licensed Tax Consultant exam. Are you a business owner looking for a way to reach your customers? If so, you'll need to clean up your business message so your customers can hear you. Business owners, are you getting all the paperwork you need when you hire an employee? 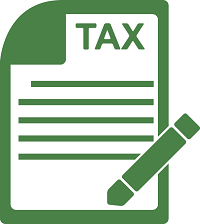 For example, did you know there is a new OR State Tax Form? Join HR expert Christine Frazer to navigate the basics of employment law, wage and hour. Do you successfully manage your own business, but still feel as if you don't quite have a handle on the financials? Get some straightforward explanations of basic accounting principles that will help you truly understand and analyze your company's financial statements.